By now we hope you have seen the two new beautiful marques on the front lawn of the Clark Municipal Building. 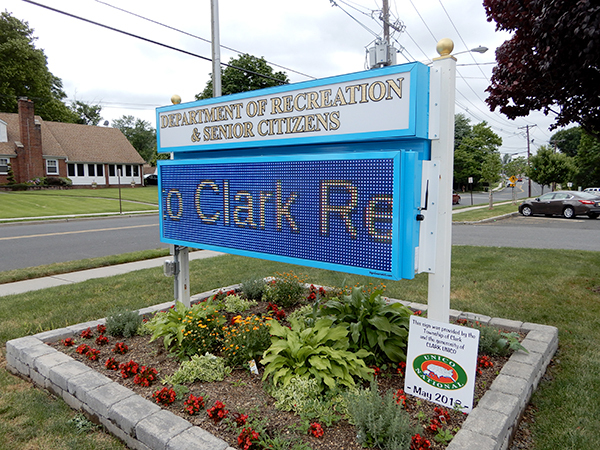 The Recreation marquee was provided by the Township and the extreme financial generosity of Clark UNICO, from the proceeds of the Italian Feast last fall. We thank them for their support and generosity of the marquee which will allow the Recreation Department to get messages out to the community within minutes.